You can find this code on Github and follow along in ghci. It is actually a problem that can be solved elegantly in Haskell using a few Isos and Traversals. We’ll use the linear library for representing the data and the lens library for accessing it. And it’s just that easy! Linear has a few other lenses for accessing elements and even vectors inside matrices. I definitely recommend checking it out. If two neighbors are equal, replace them by their sum. Note that we’ve used a slightly more abstract version than [Int] -> [Int]. This is useful for several reasons. For instance you might not have decided yet what type you are going to use to represent your cells (Int? Integer? An enumeration of the powers of two?). Also you might want to add a UI. In this case you will want to remember which cells were merged together so that you can play an animation. Below we will be using Sum Integer, the integers with addition as the monoidal composition (<>). If you need to go back and forth between two datatypes a and b, you’ll need an Iso' a b. If you need to get several bs from a datatype a, you’ll need a Traversal' a b.
Let’s start with rows. Once again, the type M44 is nothing but a vector of vectors, or a V4 of V4s. whereas, on the other hand, fromList recreates a vector from a list. Since there can be fewer than four values in a list, fromList adds as many Justs as possible to the V4, and fill the rest with Nothings. You will notice that this also takes care of “shifting” the values to the beginning of the vector. Facile, non? We get (vector) rows through traverse, reverse them, and then turn them into a list. And that’s it, we’ve implemented the logic of the game! Believe it or not, it didn’t take us more than 22 lines of code. But make no mistake. Lenses aren’t for code golfing. They’re just well-crafted, type-safe abstractions. A lot of code was already written on top of those, meaning there’s a lot of stuff you can reuse. Also, when used properly, they should allow you to write less of your own code. 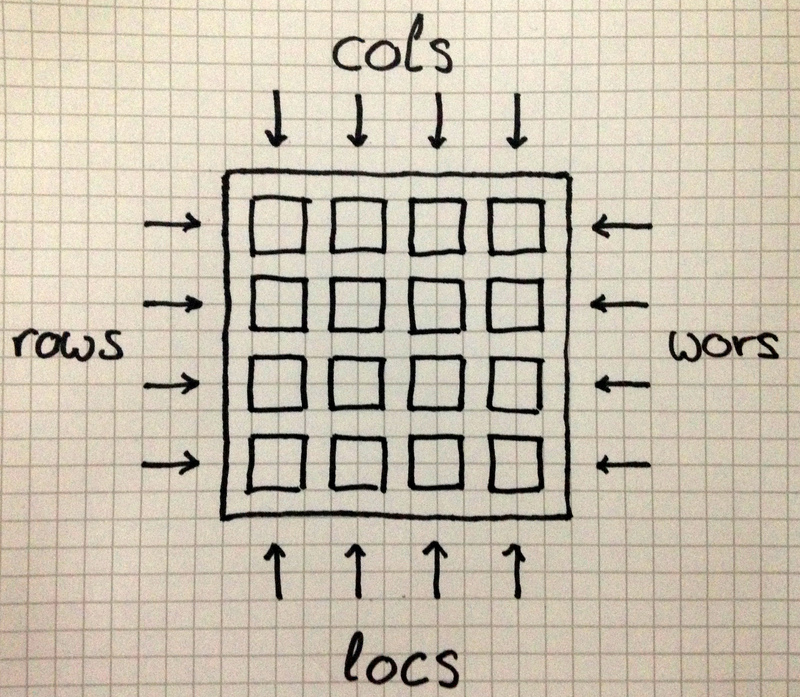 I believe that (other things being equal) it is always better: less room for mistakes, less code to maintain, less code newcomers have to understand. 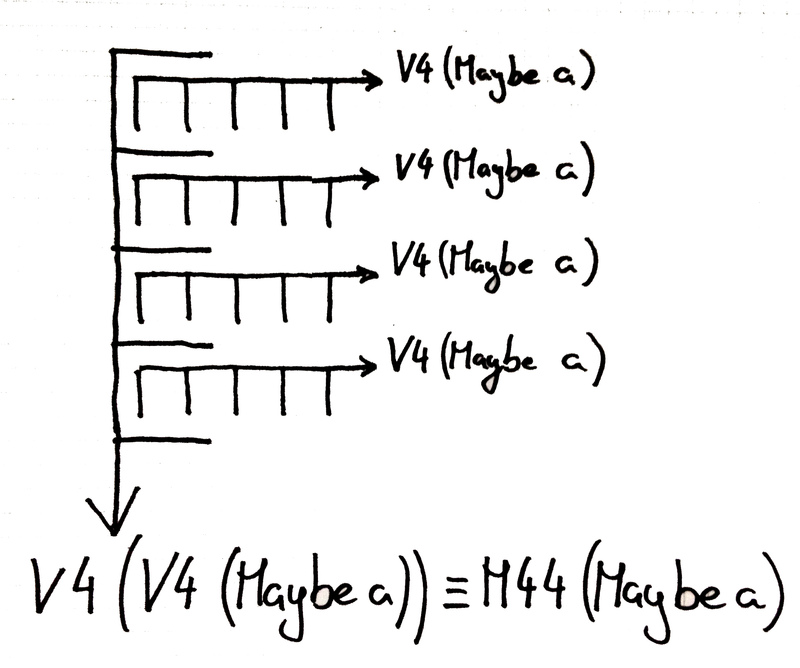 We don’t care (too much) if a matrix is a vector of rows or a vector or columns (row-major or column-major). The Linear library abstracts this for us and gives us a few functions to use in order to traverse the matrix. Thanks to lens, we haven’t used a single index explicitly. All the getting, updating and setting of values was declarative. Each indexing of an element has its own function: if an element is not there, the function is not there.